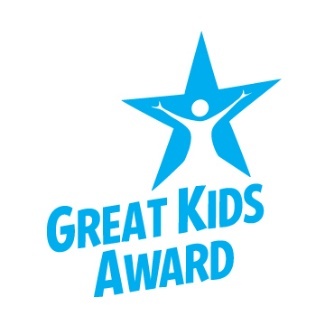 The nomination period for the 2019 Great Kids Award is now open! Sixteen children and youth from around Alberta will be recognized at the 19th Annual Great Kids Award ceremony in spring 2019. What is the Great Kids Award? Since 1999, the Great Kids Award has recognized remarkable children and youth who positively impact their communities. These great kids have made a difference while overcoming challenging circumstances, including managing a physical or mental illness, overcoming a difficult living situation, and speaking out against bullying. Do you know a great kid in your community? Consider nominating them for a Great Kid Award. Two additional letters (one page each) from individuals who know this child, supporting your nomination and describing why that kid is a Great Kid! Deadline for nominations is November 30, 2018.
Who can be a nominator? Any resident of Alberta can nominate a Great Kid – parents, teachers, coaches, pastors, social workers, neighbours…even peers! Look around your community…seek out and celebrate the amazing young people we have in Alberta! For more information, visit greatkids.alberta.ca.